A publisher told me some years ago that word of mouth was the most effective way to sell books, more than ads, discounts, reviews. People trust other people. I don’t have any data, but it feels true. What was the last book someone recommended to you that you went out and bought. Our own Duchess gave me the rec for When the Saints by Sarah Mian a while back. As usual she was right about it being great. Elena Ferrante’s “Neapolitan Novels,” four strong. Most of what I read is recommended by my man’s daughter. 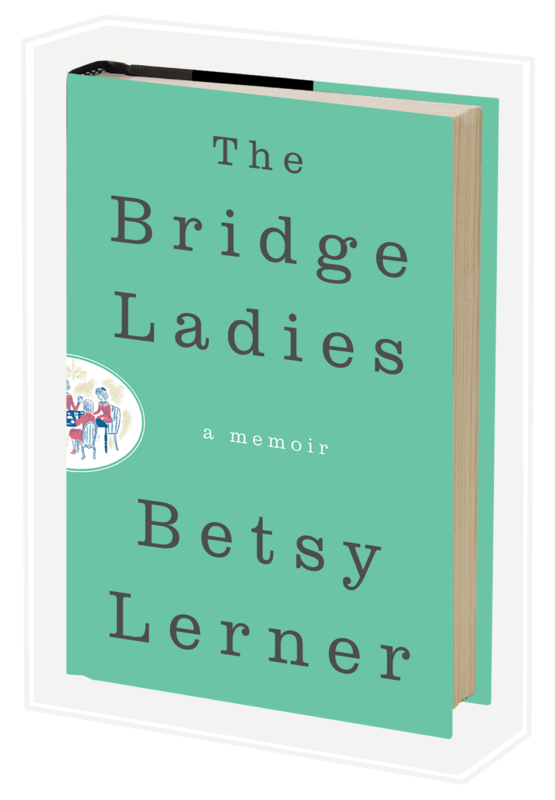 My other source is the New York Times, which is where I found “The Bridge Ladies.” I try NOT to look at too many reviews because I want to read far more than I have time to read. Also, When The Gods Go Begging by Alfredo Vea. Wonderful prose with deep, dark insights. I buy books that are recommended by people I respect or just like. My most recent purchase was a few days ago. I bought The Fault in Our Stars for my son (he loved it and read it quickly) and then his father bought him 3 more by the same author. Oddly enough, it was your book, The Forest for the Trees. And now I am promoting it, pushing it, evangelically hyping it to all my writer friends. What great insights into everything about writing and publishing. Thank you. I can’t seem to go a week without someone telling me about a book. So, just last week, there was a conversation online about the book called WEEDS. It’s about women working and living among tenant farms in rural Kentucky. Published in 1923. I have too many books as it is, in that damn TBR pile – and I can’t seem to stop buying. …meaning, yes I bought that one too. My Amazon recs. are usually right on. The latest, an edgy book on writing, life, etc: Burkowski in a Sundress by Kim Addonizio. Kind of loved it. Sounds interesting — you have my attention and I’ll check this one out. Wild by Cheryl Strayed. Recommended by a woman I met and liked at a writer’s conference. That was over a year ago and I’ve yet to read it. My wife read it and was pissed off at how unprepared Ms. Strayed was; search and rescues are all too common in the wilderness up here, putting rangers, friends and neighbors at risk as they look for hikers wearing flip flops and bathing suits setting out at sunset as the temperature drops. I just ordered The King of Lies by John Hart, recommended by one of the patients at the clinic where I work. We’d been talking about how much we both loved My Sunshine Away by M.O Walsh, so I think I can trust the source. A patient just recommended a book to me and I bought. Ditto for Dinner with Persephone ” recommended by our guide in Greece. But it’s person dependent. I love matching people with books ~ I would be a book yenta if it were a niche ! The Bridge Ladies! I LOVE THIS BOOK! Thank you so much for writing it! P.Hudson gave it to me for my birthday and now I’m telling everyone I know to read it…my mom included! Fantastic: I’m just so impressed and loved every word and related to every word. (I’m from Rockland County,NY, and I’m 59….I get the generational aspect.) Thank you again!